How Relevant Has Logic Been To Mathematical Practice? The Division of the Humanities & Social Sciences and the Provost’s Office at Caltech; the Sloan Foundation Program in Public Understanding of Science & Technology; the William & Myrtle Harris Endowment for Science & Civilization at Caltech; the Francis Bacon Found. ; and the Richard Lounsbery Found. 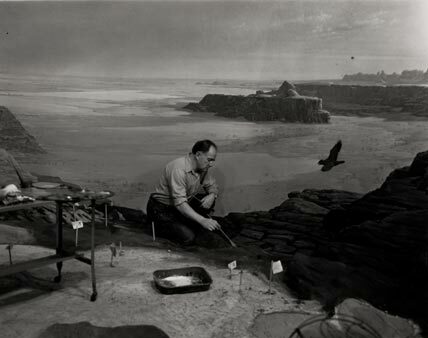 Frank Stoll paints the backdrop of an Academy diorama. Image courtesy of The Academy of Natural Sciences of Drexel University.